Dallas' Preferred Kitchen & Bath Remodeler Best of Houzz 2016 & 2017! Botond’s desire to create innovative designs and see them constructed with quality and dedication led him to start Marvelous Home Makeovers, LLC and built it solely on client trust and referrals. Every client engagement is recognized for its uniqueness and special needs. Marvelous Home Makeovers, LLC is a turnkey full service firm which reflects Botond’s inspiration and high standard for quality. 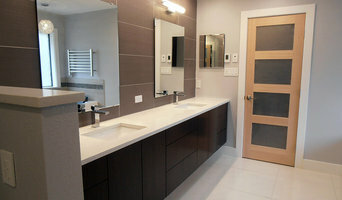 Every project aims to deliver an enjoyable remodeling experience. Lucie Hasek started Creative Elements in 2003 as an interior and exterior painting and faux finishing company. Her commitment to detail, eye for color, and amazing creativity led her to grow Creative Elements to become what it is today: An interior and exterior home and business remodeling company. Since the inception of Creative Elements, Lucie Hasek's company has grown the overall portfolio of services to include: design, reconstruction, electrical, plumbing, cabinetry, flooring, countertops, framing, custom texture & design and more. Creative Elements is located in Flower Mound, Texas and provides service throughout all of the DFW Metroplex area. Her crews are insured, bonded, professional, polite, and clean. Lucie’s Promise to her Customers: Creative Elements knows that home and business renovation is a very invasive process. Whether it is simply painting the home or complete demolition and reconstruction, Lucie guarantees that the process will be completed timely. She will minimize the stress during the renovation processes by her constant site supervision, commitment to details, and the cleanliness reliability of her crews. 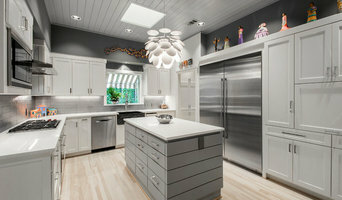 There are many types of kitchen professionals in Dallas, TX – from cabinet makers, to carpenters and interior designers – and many trade professionals offer a full suite of expertise. Depending on the size of your kitchen renovation, and the kitchen designer, they may also hire contractors on your behalf and manage the project from beginning to end. Here are some related professionals and vendors to complement the work of kitchen & bathroom designers: Kitchen & Bathroom Fixtures, Appliances, Tile, Stone & Benchtops, Joinery and Cabinet Makers, Carpenters. Find a Dallas, TX kitchen designer on Houzz. Browse the Professional section on Houzz to find kitchen designers in Dallas, TX. Then, scroll through photos of their latest kitchen renovations and see how their work compares to the scope of your project. You can read reviews to see how other homeowners rate their work, and message them directly to to ask any specific questions.